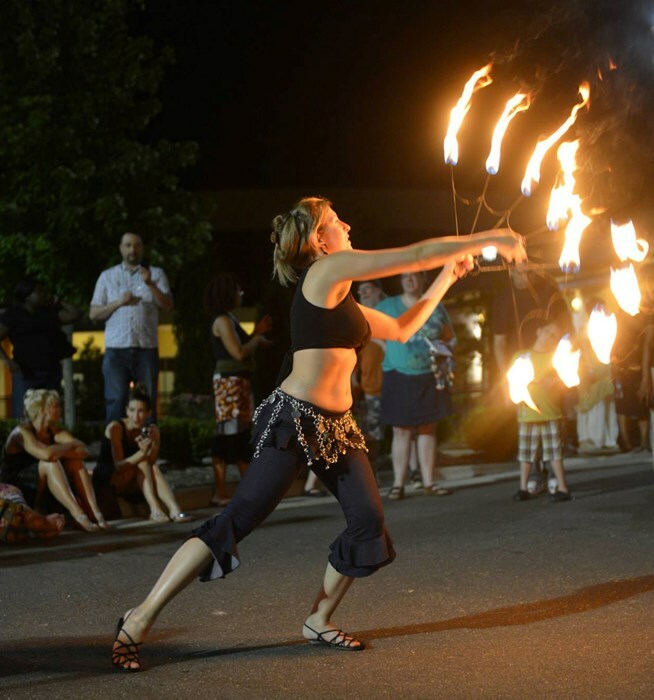 Amara of Electric Shimmy Bellydance, is a professional bellydance artist, mermaid, and fire performer located in the Cary/Raleigh area. She has over 10 years of performance experience and has performed all over the Triangle area. She has performed for many local events such as Final Fridays with Rhythmicity, The Raleigh Drum Circle, and Festivals at Neomondes Cary and North Raleigh Cafe. She has performed at restaurants such as XIOS authentic Greek Restaurant, Taverna Nikos, Spartacus, and Babylon. You might have also seen her performing at the International Festival of Raleigh, Festival for the Eno, Festival of Legends, Fullsteam Brewery, the NC Renaissance Faire, the Apex Peakfest, Lebanese Festival of Raleigh, Day in Downtown Festival in Fuquay Varina, NBC 17 Health and Fitness Fair, Durham's Centerfest and Cary Spring Daze. A classic show is good for birthday parties, bridal showers, family parties, special events, weddings, and corporate events. It Includes a dynamic entrance, beautiful dance with prop (veil, sword, or Isis Wings), a fun and energetic dance to Arabic pop music, a fiery drum solo, and an exciting finale to get the audience up to dance. 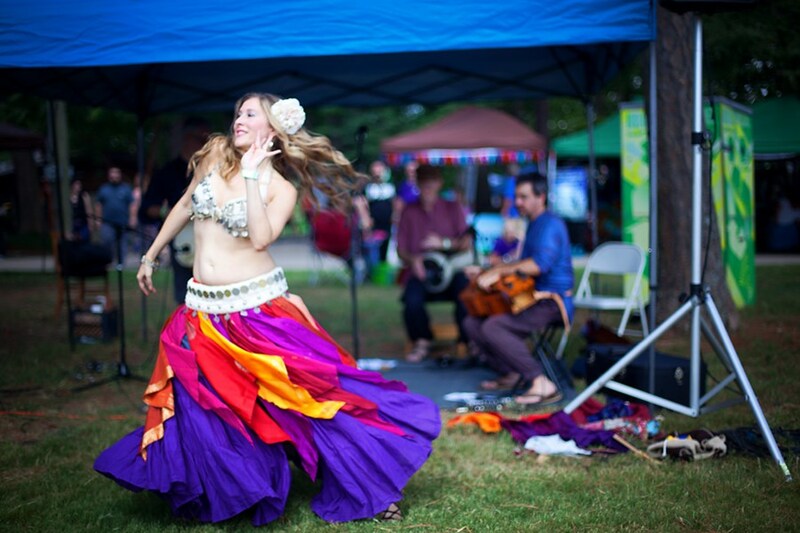 Looking for a live bellydance performance and a musician? Amara and Andrew are now available for an all improv live music set. A fun way to get the crowd up dancing. Pricing for both dancer and musician start at $375 for a 30 min performance. *A signed contract and non-refundable deposit of $100 is required to book your event. *Prices listed are non-negotiable. A travel fee applies to areas more than 30 min outside of 27539 zip code. Amara provides family oriented performances suitable for all ages. She will dance for all female and mixed group events, but will not dance for all male audiences. $75 for an additional 20-30 min. Mermaid Amara is a mermaid in the Raleigh/Durham area available for your special event. She will bring a little magic, mystery and a fun and unique experience to your special event. She has her own custom made professional silicone tail which is the most realistic of all the tail types. (She does not perform as Ariel). She has made appearances at the Festival of Legends and several YMCA's for Family Swim nights and worked with Summer Camps. She is available for parties, corporate and promotional events, fundraisers, fairs and festivals. Interacting with a real mermaid is a memorable experience for audiences of all ages. She has several children's mermaid tails that are available to rent for your party. She has an underwater camera for use during the party and will upload any photos or video to a private gallery after your event. Include 1 hour of swimming and playing with all the kids. Each child gets to pick something special out of the treasure chest. An underwater camera is available for use. Birthday child gets a special gift. Swimmable mermaid tails are available for rent. Dry land parties can be booked when a pool is not available. We can make crafts, read stories, temporary tattoos, glitter nails, have cake and presents during this time. Each child gets to pick something special out of the treasure chest. Birthday child gets a special gift. Mermaid tails are available for rent. This is good for special events, Summer Camps, Libraries, Fairs, Festivals, Corporate Events, Grand Openings, Summer parties. All Mermaid parties and appearances last approximately 1 hour. $75 additional 30 minutes. Please note Amara - Electric Shimmy Bellydance will also travel to Raleigh, Four Oaks, Benson, Smithfield, Durham, Clayton, Coats, Eagle Rock, Selma, Willow Spring, Dunn, Kipling, Angier, Erwin, Buies Creek, Garner, Mamers, Princeton, Wilsons Mills, Newton Grove, Bunn, Fuquay Varina, Kenly, Knightdale, Micro, Godwin, Wendell, Holly Springs, Middlesex, Bunnlevel.